The original blue-jean company is making efforts to turn its iconic garment green. On Tuesday, Levi Strauss announced the launch of “Waste<Less,” an upcoming collection of denim that incorporates post-consumer waste, specifically plastic bottles and food trays. Set to debut in January, the line of skinny jeans, straight-fit jeans, and trucker jackets will comprise a minimum of 20 percent recycled content, or the equivalent of eight 12- to 20-ounce bottles per jean. The entire collection is expected to utilize over 3.5 million recycled bottles, according to Levi’s. Levi’s will work with its partners to collect polyethylene terephthalate (PET) materials—including brown beer bottles, green soda bottles, clear water bottles, and black food trays—through municipal recycling programs across the United States. The bottles and food trays are sorted by color, crushed into flakes, and spun into polyester. The polyester fiber is finally woven with conventional cotton yarn by Cone Denim, which runs one of the nation’s oldest denim mills in North Carolina. The color of the bottles used, according to Levi’s, adds a “beautiful undertone” to the denim fabric. The color of the bottles used, notes the company, adds a “beautiful undertone” to the denim fabric, which reveals green and brown specks in the right light. The Waste<Less line comes on the heels of “Water<Less,” a finishing technique designed to reduce denim’s water footprint by up to 96 percent. Who wants to wear plastic? I prefer all natural fibers next to my skin..tho this would probably make it more durable..like fleece jackets, which I love. (OBTW: Levis: a family-owned business, that went public for a nano-second, and then bought back it's stock.) And look how long they've been in business--as my business will be, despite the challenges right now (FHTM-Paul has sworn he will never go public: we are 100% debt-free and not beholding to stock-holders or investors or anything! I trust the man..more than I trust my own mother--who has proven herself a liar for the last 65 years!--)Paul is a man of the highest integrity, & it's the only company I will work with. The original blue-jean company is making efforts to turn its iconic garment green. 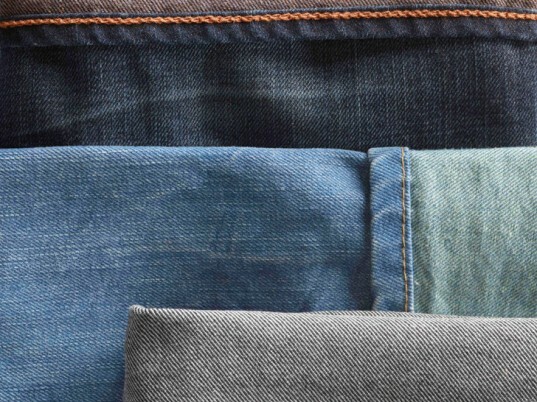 On Tuesday, Levi Strauss announced the launch of "Waste<Less," an upcoming collection of denim that incorporates post-consumer waste, specifically plastic bottles and food trays. Set to debut in January, the line of skinny jeans, straight-fit jeans, and trucker jackets will comprise a minimum of 20 percent recycled content, or the equivalent of eight 12- to 20-ounce bottles per jean. 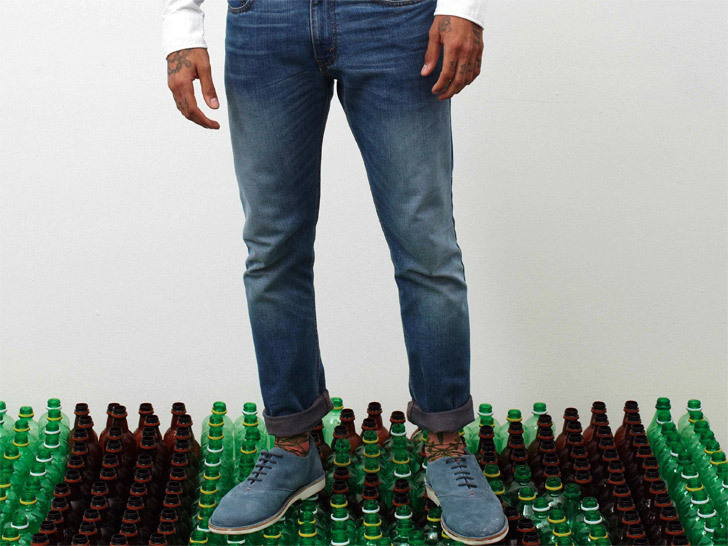 The entire collection is expected to utilize over 3.5 million recycled bottles, according to Levi's.